Dublin users of car sharing service GoCar will now be able to park their rental vehicle on any pay-and-display space for free. Consumers can hire 50 GoCar vehicles by the hour from 31 pay-and-display locations in Dublin. DUBLINBIKES MOVE OVER, you have a motorised rival on the way. Dublin City Council has today awarded GoCar the first licence to operate on-street car clubs in the capital. GoCar already operates a car sharing service in Dublin and Cork but the introduction of new Dublin bye-laws mean that anybody using the service will now be able to park their rental vehicle on any Dublin pay-and-display spaces for free. The parking charges will be paid as part of the permit fee GoCar pays to Dublin City Council to run the service on a citywide basis. GoCar’s current service operates with users paying a yearly subscription fee of €50 and then paying for the car rental by the number of hours used and the distance travelled. 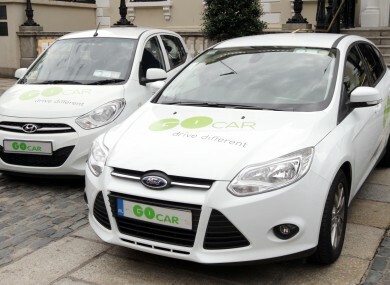 Users can hire 50 GoCar vehicles by the hour from 31 pay-and-display locations in Dublin including Barrow Street, Arran Quay, Drumcondra and the IFSC. It’s a very positive step and a big congratulations is owed to everyone in the Council for making this happen. It’s not for everyone but it will be of particular benefit to people who need to use a car but can’t afford one, people who only use a car occasionally, and families who might need access to a second car from time to time. Email “Ever wanted to park on the street and not get clamped? ”. Feedback on “Ever wanted to park on the street and not get clamped? ”.